The E-Quill-AirO2bic Mouse patented Gripless Mouse Technology removes constant muscle tension required by gripping so can help to maintain aerobic conditions in your mousing hand. Avoiding gripping computer mice is an important part of avoiding the consequences of working long hours at computers. But for many who have damage to fingers as a result or for those with disabilities such as arthritis, the act of clicking mouse buttons alone can be painful or not possible. Nib software addresses this problem completely by automatically doing the click you want performed, where and when you need it. Nib auto-click software that is optimized for word processing and Web browsing applications that automatically performs 95% (average word processing user) of button clicking operations for you. 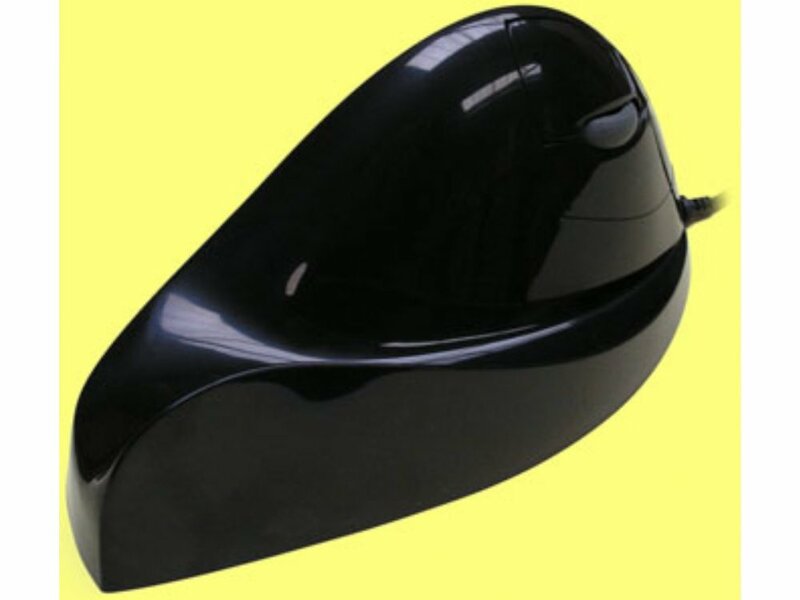 Developed initially for the E-Quill-AirO2bic mouse and when used with it, it delivers virtually hands free mousing. Package contents: Mouse, operator guide, companion CD Nib Clickless Software and activation key.